Changing scenery always is a good idea. 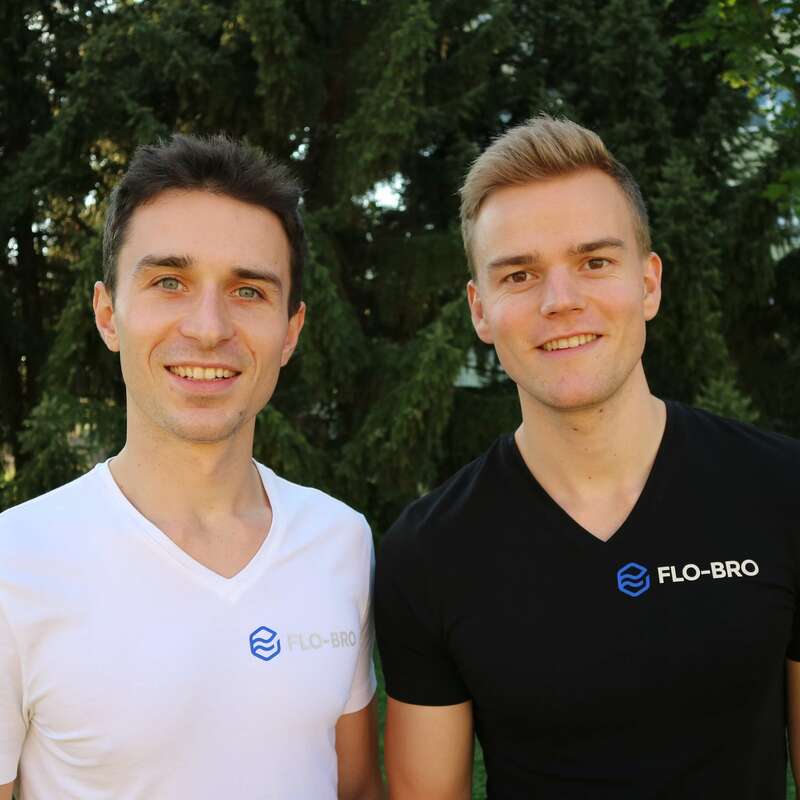 It brought co-founders Radek Oborný and Robin Rijnbeek the foundation of their new business, Flo-Bro, which they claim could be a solution for plastic bottle polution. While traveling through South-East Asia they got the idea of a brand-new water filter for travelers, that would also effectively fight plastic bottle pollution, a problem specially in Asia. After 12 months of testing and 5 prototype developments later, they recently introduced their first universal and portable water filter on Kickstarter. The portable filter will help travelers save money on bottled water and prevent plastic (bottle) pollution over the world. Rijnbeek and Oborný both lived in Holland, though Oborný originates from Czech Republic. They initially had the idea to produce Flo-Bro in countries where they would be mostly needed, like Cambodia and Vietnam, but soon discovered it’s hard to set up a business there. Therefore they decided to establish Flo-Bro in the Netherlands, partly because it’s globally known as a ‘water country’ and has many knowledge and resources, partly because Oborný worked here at a water purification company. What makes the filter unique? The Flo-Bro One water filter is extremely compact and intuitive. The co-founders combined their experience in business and membrane engineering to create a small-sized and light weight device that can be carried in every bag. 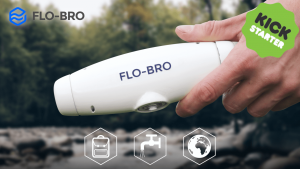 During the development stage, Flo-Bro focused on a universal design, which allows travelers to use the water filter indoors, as well as outdoors. This means that water can be filtered from any freshwater source: a sketchy tap, shower hose, river, lake, or stream. The core benefit of Flo-Bro One is the membrane testing & flushing technology. It makes expensive replaceable cartridges obsolete and makes the water filter fully reusable in the long-term. “At Flo-Bro we believe that simple and durably designed products are the core of sustainable development. That vision led us to the creation of a simple cleaning procedure, which enhances the lifetime of the filter. This eliminates the need for expensive and often polluting, replacement cartridges” Radek Oborný comments on the water filter’s lifetime and durability. 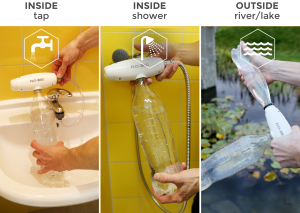 While developing the Flo-Bro One filter they also decided to discover their chances on the Czech market, where they won the Podnikavá hlava startup competition and found an investor, Anderseal, who provided them with €50.000 to cover the production costs. The Kickstarter campaign money will mainly be used for market validation and marketing purposes. The Dutch-Czech project is ready to change the water tech industry once and for all, and bring safe drinking water to all corners of the world. Flo-Bro already received over 50% of the Kickstarter pledge and there are still 30 days to go. They still have the ambition to create better access to clean drinking water locally, if Flo-Bro becomes an established company. There are more startups and initiatives focusing on fighting plastic pollution, with The Ocean Cleanup being one of the most well-known. Very encouraging to see these ambitious gamechangers setting foot in the startup industry, trying to make a difference.